The core philosophy of microfinance is the double bottom line. It refers to the goals of the organization, which are a) to be profitable, and b) to be socially impactful. But there is another philosophy known as the triple bottom line, which adds ecological impact. Sometimes referred to as “people, planet, profit,” TBL promotes an environmentally-friendly approach to development. To that end, there are a host of products that serve each of the three goals. In this post, I will talk about one in particular: environmental cookstoves. “Our stoves are clean-burning and incredibly efficient, reducing cooking time by at least half and reducing smoke and toxic emissions by up to 80 percent. Our stoves also use up to 60 percent less fuel than traditional stoves. These benefits significantly improve the lives of customers in the developing world, while having a net positive impact on the global environment,” said Ron Bills, Envirofit chairman and chief executive officer. How do cookstoves fit into the triple bottom line? Microfinance institutons and NGOs sell cookstoves and receive payment through loan products. 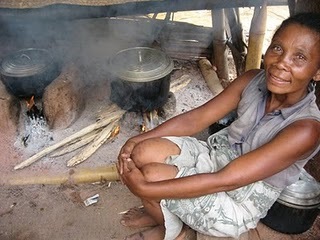 Cookstoves have major public health and environmental (reducing emissions) ramifications. The poor use less fuel and save money. This is a very simple invention that pays incredible dividends. Simple solutions like these make a huge difference in improving the lives of the poor. Josh, loved this post. 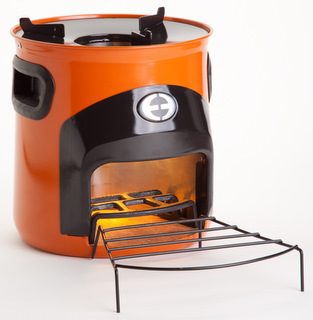 Great insight on the positive impact of these cook stoves. Out of curiosity, how much does a cookstove cost? If it’s going to help the poor, is it affordable? I liked the angle of your post. There have been a few questions about how microfinance can help the environment. While this stove is an ingenious product, I’m not sure it will be preferred by all poor people. It’s often no trouble for them to cut down trees and burn wood so why would they be willing to purchase it through a loan + interest? They don’t worry about the environment when they can barely have three meals a day.